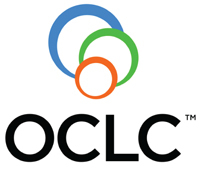 Faster, easier and more accurate sharing of film-based documents is now available from ST Imaging through their partnership with OCLC. Announced at the 2014 ALA Midwinter Meeting, ST Imaging will now provide the Article Exchange service using the ST ViewScan II microfilm scanner and ST Premium Software as a standard feature to their scanning system. Article Exchange provides a single, secure location where lending libraries can place requested documents in PDF, TIF and many other formats that previously were inaccessible from microfilm content. ST Imaging’s Premium Software will now automatically integrate with OCLC using WordCat® Resources Sharing and through an add-on to ILLiad® Resource Sharing Management Software. Library users can retrieve microfilm based content just like they obtain paper document articles or book chapters obtained for them via interlibrary loan. Simply scan the requested articles from the ST ViewScan II microfilm scanner and select your preferred output, OCLC Inter-Library Loan or Odyssey Inter-Library Loan, from the File menu. More than 625 libraries in 16 countries now upload more than 25,000 documents to the Article Exchange document-sharing site each month. Access monthly statistics documenting use, including turnaround time between the file upload and the initial view date.